I invited Knife Magazine to present itself in Oslo by putting the late night concert into the context and opening hours of a gallery opening. 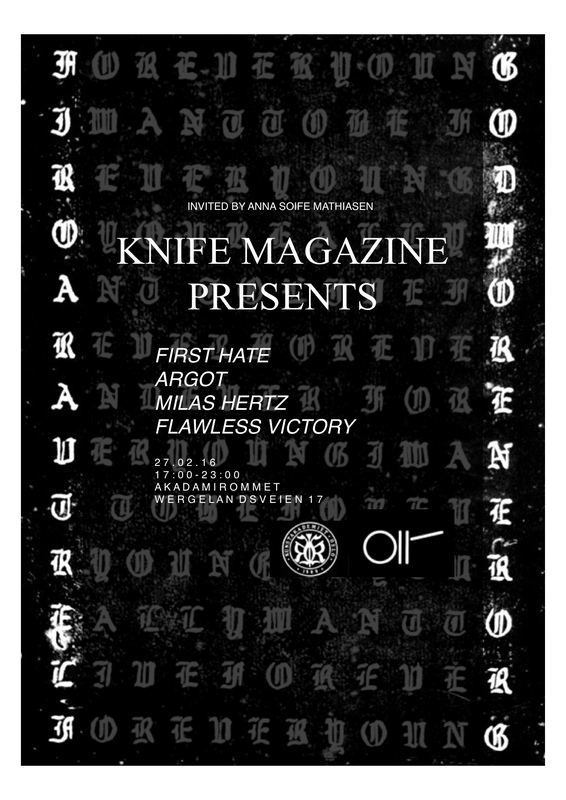 The event will also function as the Oslo release of Knife magazine. Copenhagen synth-pop serpents finally makes their way to the vast lands of Norway – performing a exclusive show before their appereance at By:Larm, March 3th. the gathering will take place at the Akademirommet, Kunsternes Hus, Wergelandsveien 17.